Fig. 1 Wedding Wonder Woman . . . no, not the newly wed Mrs Moore, but rather her simply marvellous MoH! Those of you who are familiar with A Warwickshire Wedding might remember reading Introducing Mrs Johns when I told you all about my marvellous MoH. Of course, MoH wasn’t always MoH. 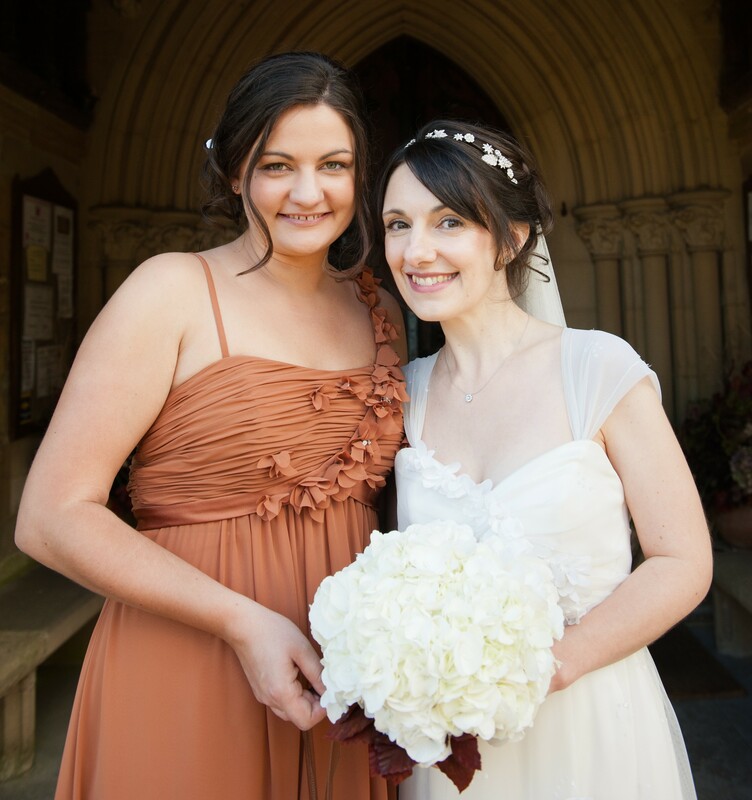 Once upon a time, long before I had even in my wildest dreams imagined being a bride, she was Charlotte, the nice new girl sitting opposite me at work whom, I was soon to discover, was herself a bride-to-be planning her own wedding. At that stage, I didn’t know much about the process of getting married. Of course, I’d been to oodles of weddings over the years, but I’d just let all that nuptial loveliness wash over me without really considering how that loveliness came into being. I naively thought that once the date had been set, the venue booked, the dress bought, the bridesmaids chosen and the guest list drawn up, it was a case, more or less, of job done . . . wasn’t it? So when, many weeks before her Big Day, Charlotte told me, in a slightly weary voice, that she was having to devote every single free moment to wedding related tasks and was struggling to have a weekend off from all the planning, I was, whilst sympathetic, genuinely bemused. To my shame, I distinctly remember wondering what on earth she could be doing and found myself questioning how someone so staggeringly efficient and capable within a professional environment could be making such a marital mountain out of a molehill. It was a brow-furrowing moment. But fast-forward a couple of years when the shoe was on the other foot and I realised just how wrong I had been. Suddenly I was not so much mystified at how Charlotte had managed to fill such a lot of time wedding planning, but rather how on earth she had successfully managed to shoehorn it all into a mere seven months of evenings and weekends. And at that moment Charlotte was elevated to ‘Wedding Wonder Woman’. For even though we announced the date more than twelve months in advance of the Big Day and redundancy enabled me to dedicate a significant swathe of time to planning everything down to the tiniest detail, I still found myself struggling as I worked against the clock to get everything done on time. But it wasn’t just a matter of time management that caused me to stress. Nor even that elephant in the room better known at ‘The Budget’. It was something quite different. To find out what that something was tune in next time for an in-depth analysis of Mrs Moore-to-Be’s wedding angst. It promises to be even an even more revealing post than the contents of Mrs BeeKnit’s bag!